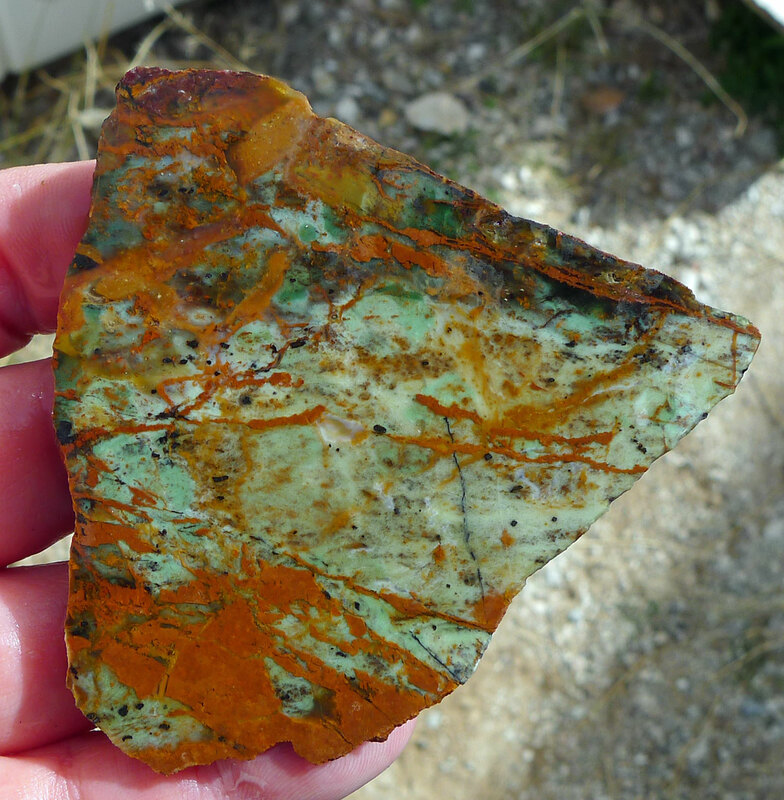 Variscite Slab for Lapidary Artists, Collectors and Cabochon Makers - Natural Variscite from Australia. 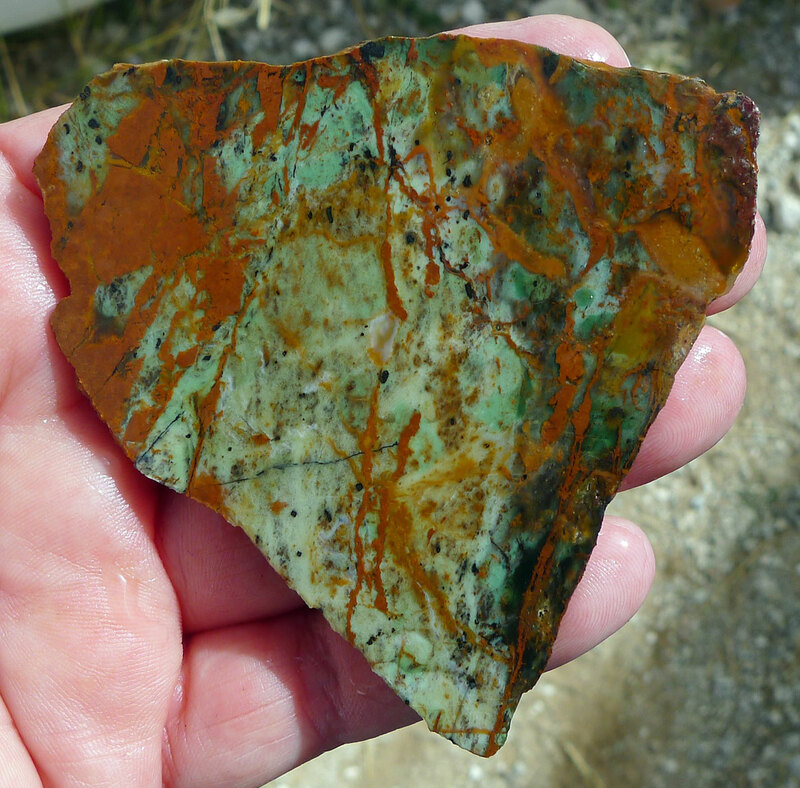 You will receive the EXACT Variscite slice pictured. Weight: 1.79 oz. - 50.75 gr. - 253.7 ct. 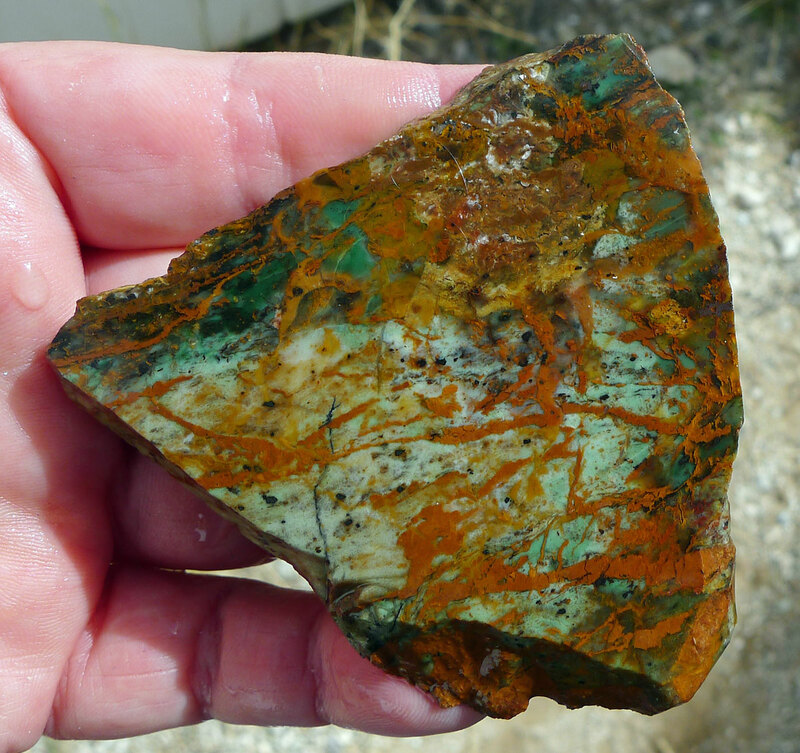 Sometimes marketed as Variquoise, Variscite is phosphate mineral that is best-known in different shades of green. Sometimes mistakenly identified as Turquoise, Chrysocolla or Chrysoprase. 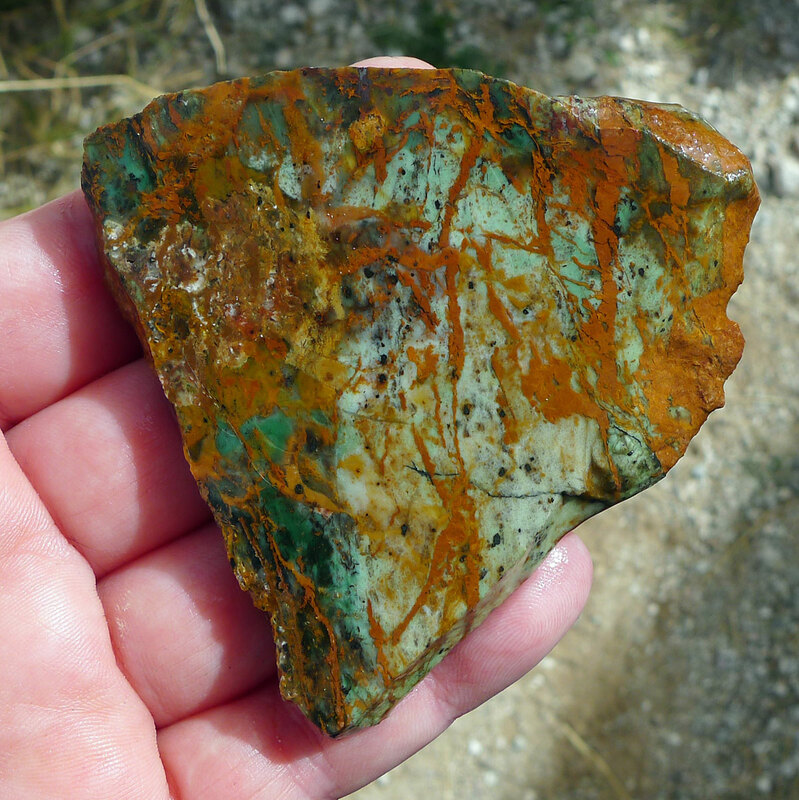 Variscite is most famous for its different shades of green caused by traces of chromium, and is light to emerald-green, apple-green, and bluish-green; often splotchy or multicolored with different shades. It is also known as Utahlite, Barrandite, Bolivarite and Lucinite. Metaphysically, variscite is thought be able to help most brain-related functions, such as learning, reasoning, logic and/or common sense. Considered an excellent stone for relieving stress and anxiety, Variscite is also thought to enhance feelings of joy, peace and harmony. Chakra(s) : Heart.